Sometimes as much as we wish it were so, it's just not possible to move directly from a hospital stay after an injury or operation straight into your own home. It's imperative to give yourself or your loved one time to heal while others worry about some of the day to day demands of living. At High Plains Alzheimer's Special Care Center, we give our residents time to heal, while also offering top of the line rehabilitation services and highly-trained staff members. Working with the seniors, their physicians and our nursing and physical therapists, High Plains Alzheimer's Special Care Center creates a circle of care that ensures our residents' physical, emotional and spiritual needs are met during their time with us. We offer day to day assistance with bathing, toileting, dressing and other chores. In addition, the linen service, house cleaning and meals are all handled for you when at High Plains Alzheimer's Special Care Center so you can focus on your recovery. 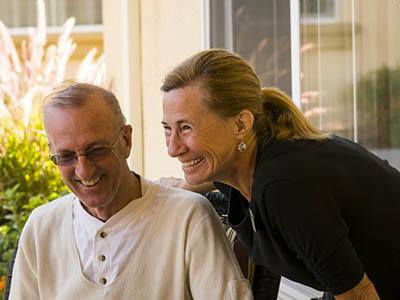 We also understand how difficult it can be to care for a loved one with memory loss. We offer caregivers the opportunity to join together with us and allow us to provide short-term assisted living and respite care for your family member. Everyone needs a break at times. Let us be your go-to resource for respite care. We can't wait to show you all of the features of our respite care services at High Plains Alzheimer's Special Care Center! Contact us today.